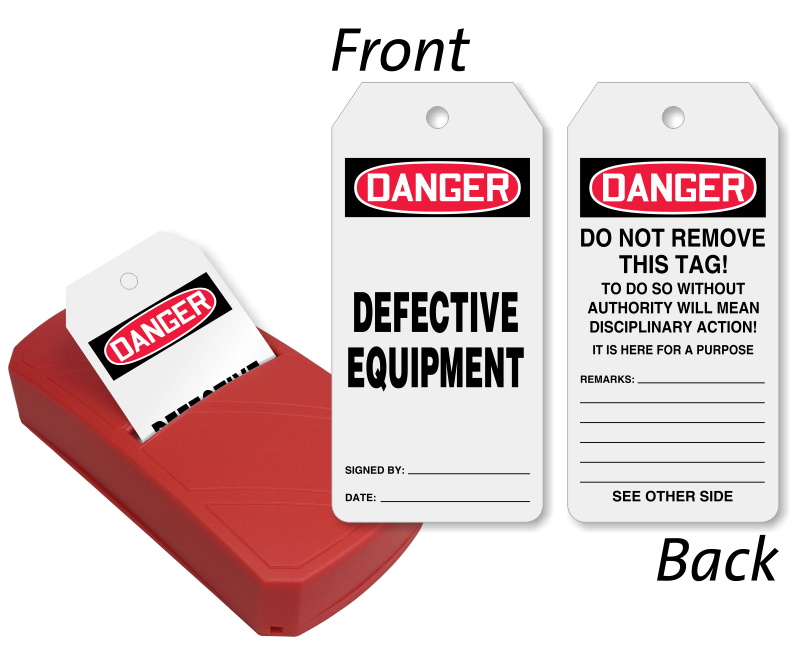 Need multiple defective tags on site? 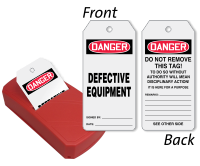 Use our Take-A-Tag Dispenser with 100 double-sided Defective Equipment Tags. • OSHA Danger Tag is hard to miss. Use pen, pencil, or marker to write on the tag. • Take-A-Tag Dispenser is made of plastic and has keyholes at the back for easy hanging. • Buy refill tag pack from us.